Not all of us can avoid the knife. 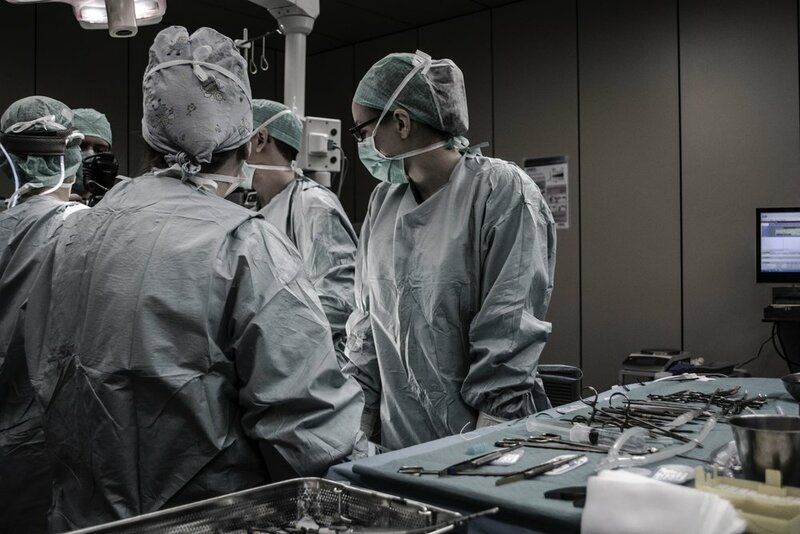 As an orthopaedic surgeon, I’m well aware that, in certain circumstances, surgery isn’t just preferable—it’s necessary. Take the anterior cruciate ligament (ACL), which connects the tibia and femur and helps stabilize the knee joint, as an example. The ACL is what’s called an intra-articular ligament, meaning that it’s inside the joint, and thus doesn’t have a great blood supply. So, if you tear it completely, there’s nowhere for the new blood vessels to go and reattach the ligament to the bone. More simply? Self-repair isn’t an option. And while some people can get away without an ACL, it’s usually non-negotiable for tennis players, who rely on the ligament to stabilize the knee while they cut, pivot, jump, and change direction on court. Yet, what about other wear-and-tear injuries, the less severe ones? What other options are there and how well do they work? Physical therapy is what I like to call the movement cure, the use of motion to harness the body’s innate healing capacity to resolve musculoskeletal imbalances and injuries. Helping the body restore itself may sound like some folksy, new-age approach, but it’s standard medical practice. When a doctor stitches up a wound, she’s just connecting the skin together—it’s the body that does the actual healing. And when a doctor puts a broken arm in a cast, she’s just immobilizing it so it can heal properly on its own. More importantly, the movement cure works. Lumbar spinal stenosis? New research shows that “physical therapy works just as well, and comes with fewer unwanted complications—some of them life-threatening—than surgery.” Bad tennis elbow? The best cure might be isokinetic eccentric exercise, such as my little elastic band trick. Meniscal tear? The New England Journal of Medicine found that patients with a “meniscal tear and imaging evidence of mild-to-moderate osteoarthritis” assigned to a “standardized physical-therapy regiment alone” did just as well as patients assigned to surgery. Excess inflammation creates a toxic environment, making the wear-and-tear injury hard to heal. Cortisone injections work by reducing that inflammation, thereby making the injury easier to heal. For instance, if you’re suffering from a knee injury, and all the swelling and inflammation is restricting your range of motion, a cortisone injection could help bring that swelling and inflammation down, allowing you to move more freely, activate those affected muscles, and heal. However, I always recommend using cortisone injections judiciously. Multiple cortisone injections can lead to ruptured tendons and atrophied tissues, and with needles there’s always the risk of infection, too. There are two types of braces used for wear-and-tear injuries: rehab braces and functional braces. Rehab braces help protect and secure a joint during recovery and are generally temporary. Functional braces help you support the normal function of the joint. For example, if you’ve torn your MCL, you’ll probably be custom-fitted with a brace to keep the joint aligned when performing strenuous activity. The custom brace is constructed in such a way to hold your leg and prevent your knee from going into a certain range of motion so that your knee can’t give way. All these options can help resolve wear-and-tear injuries, but to prevent them from returning, you need to address what caused the injury in the first place. You see, repetitive motions (like serves and forehands) and faulty movement patterns (like poorly executed squats) create imbalances in the body. Left unresolved, these imbalances become injuries. So regardless of what modality you choose, changing the way you move must be part of the solution.